Look good enough to eat? They are! Then edible flowers are for you. Are you tired of serving the same thing over and over and over again?, here are some edible flowers to help you add something new and different to your dinner table. Flowers can be a great addition to any dish as a garnish or as an added ingredient, but it is important to know which flowers are edible and which flowers are toxic. Below are a list of flowers that are edible and a list of toxic flowers. Warning: Do not rely on a photo for identification of a flower, make sure you know what flower you are about to consume. Eating flowers may sound like a strange new fad, but the idea has been around for Centuries. Ancient Romans ate violets, roses and pot marigolds as part of their diet. Flowers can be used as garnish to brighten up a plate or they can be incorporated into the recipe. Flowers can be added to anything, herbal teas to desserts and everything in between. 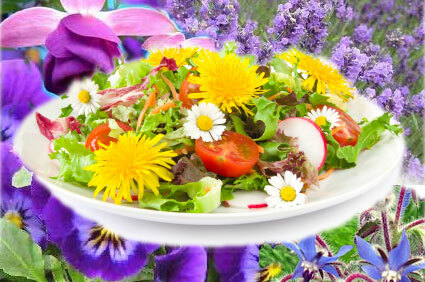 It is not known exactly how flowers will effect your dish nutritionally. There has not been a lot of research done on the nutritional value of flowers. We do know that pollen and nectar, found in flowers, provides various vitamins and minerals. Some of the vitamins and minerals include Vitamins A and C, iron, calcium and phosphorous. Flower like many plant products are 95% water and so they provide minimal calories when consumed. 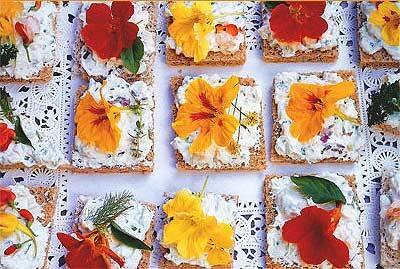 crackers, cottage cheese and flowers fresh from the garden? Before you go out and start picking your neighbours flowers for dinner tonight there are some points to remember. Use only flowers that you grow or have been organically grown. Flowers from the florist or your local grocer should not be used because these flowers have typically been treated with pesticides. If you grow your own flowers do not use fertilisers or pesticides. If your neighbour uses a fertiliser it may seep into your garden bed, so know what your neighbour is doing if you plan on eating something that is planted in the ground. Carefully check the flower for signs of disease or insect damage, if any is found the flower should not be consumed. 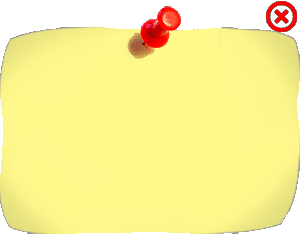 The pistil and stamen (male and female parts of the flower) should be removed before the flower is consumed. Flowers should be cleansed thoroughly in warm water before using. They can be dipped in ice water after cleaning to restore perkiness. Borage is a plant with clusters of blue flowers. The leaves and stems have tiny hairs. The beautiful blue flowers add a cucumber-like flavour to salads, drinks, and desserts. Calendula is a bright yellow to orange composite flower like a chrysanthemum which will add a golden hue to salads and dips. Calendula is also known as the “Poor Man's Saffron”. It will add a spicy, peppery taste to dishes. Marigolds are related to calendulas and also have a peppery, spicy flavour. They have a similar colour range to the calendulas - bright oranges, yellows and whites which will add visual appeal to many dishes. Carnations and dianthus offer a wide palette of colour from red to pink to white. Their peppery flavour varies from very bland to spicy. Carnations are used in salads and dips, you can also float them as a garnish for soups. Chives bear clusters of delicate lilac-coloured flowers which are a great garnish for potatoes, soups and salads. Chrysanthemums add a slightly pungent and occasionally bitter flavour to foods. The wide range of colours make any dish an instant party delight. Daylilies are easy to grow and come in many colours. They have a nutty, slightly sweet flavour with a crunchy texture and are good in salads as well as desserts and drinks. Hibiscus are popular flowers throughout the tropics. These beautiful flowers add a tropical feel to any occasion. Try boiling the petals to make a tea, then strain off the tinted liquid. Hibiscus flowers have a slightly astringent, acid flavour, which can be balanced by small amounts of a sweetener such as stevia, agave nectar or honey. Impatiens are commonly found throughout our understory areas at Middle Path and many gardens throughout Australia. Adding an Impatiens blossom to drinks with a sprig of mint turns them into a visual refresher as well as a thirst quencher. Lavender flowers have a long tradition of use in confections and cakes. It has a perfumed scent which it imparts to the food. You can also use it in jellies, ice-creams and other desserts. Nasturtiums (Tropaeolum majus) have also had a long history as an edible flower. They have a peppery flavour similar to radishes and the small buds are known as “capers”. 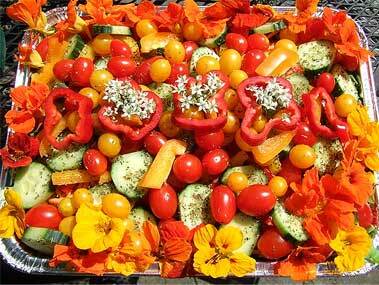 The flowers add colour and beauty to salads and vegetable dishes. Pansies have been used as a candied flower to decorate cakes. Their sweet flavour can be used in desserts and drinks. Pansies grow in a rainbow of colours and are a very cheerful addition to any table. Freeze them in ice trays and float the ice cubes in your favourite drink for a stunning visual and gustatory treat. Pineapple sage has a distinct pineapple flavour and can be used wherever this taste is suitable - deserts, salads, teas and drinks. The red flowers are eye catching in the garden and on the table. Rose petals add a delicate, sweet flavour to many dishes. The petals can be used in sorbets, fruit salads, teas and desserts. The stronger the fragrance, the stronger their flavour will be. Scented geraniums and pelargoniums have a variety of scents. These small but highly-perfumed blooms come in a variety of fragrances including rose, lemon, chocolate and apple - the scent will usually offer a clue as to the taste sensation. Violets are widely used in the confectionary and perfume trades. A long time favourite of the sweeter teeth folk, violets have a delightfully sweet fragrance with a taste to match. An unfailing addition to visually enhance any desert their flavour will compliment any sweet dish.